'Much like Hec and Ricky, Hunt For The Wilderpeople is stubbornly and charmingly its own animal.'. As Taika Waititi's last film before he swaps Antipodean climes for Asgardian ones, Hunt For The Wilderpeople on initial inspection does little to change the director's status as the most left-field choice to helm a Marvel movie to date. This is an unashamedly quirky Kiwi comedy through which Waititi shows almost no aspirations to move into making Hollywood blockbusters. There's a well-executed car chase and a less-well-executed giant boar - ill-advisedly touched up with CGI but which would have fit the film much better had it been left as a raw practical effect - but for the majority of the running time Waititi wisely opts for a low-key indie aesthetic. 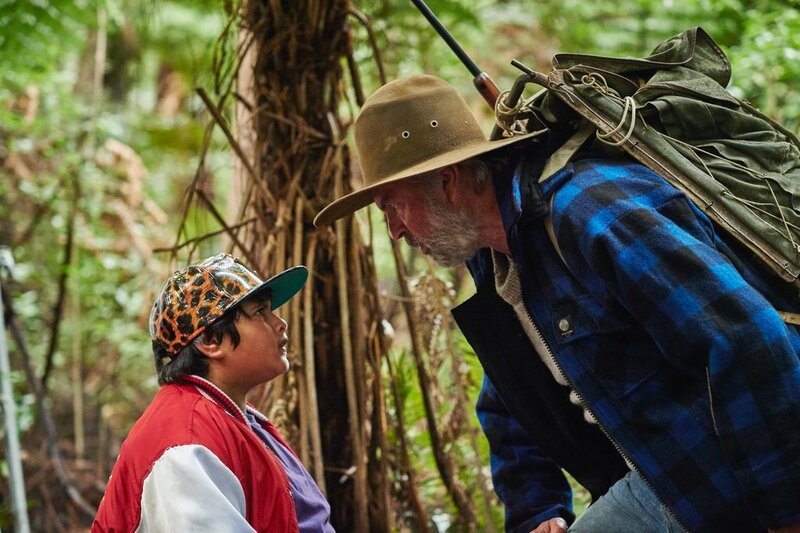 In doing so, the director puts the odd couple of veteran Sam Neill and newcomer Julian Dennison squarely in the spotlight. Generational juxtaposition is hardly a new idea - there's more than a hint of Up in the film's set-up for a start - but when it works as well as it does between Waititi's central pair it doesn't really matter. Whilst the chemistry between the two drives much of the film, the director's decision to initially keep them apart also works well, making the relationship which gradually develops between Hec (Neill) and Ricky (Dennison) feel all the more authentic. Waititi's writing also deserves just as much credit, striking a pleasing balance between emotion and humour, sentiment and silliness throughout. An early scene set at a sparsely attended funeral, presided over by the director himself cameoing as an awkwardly forthright priest, is just one of many memorable examples that will make you laugh and cringe in equal measure. There are shades of both Edgar Wright and Wes Anderson here; but more often than not, much like Hec and Ricky, Hunt For The Wilderpeople is stubbornly and charmingly its own animal. Look closer then, and Waititi's latest is both a positive forerunner and the perfect warm-up for his blockbuster debut. Mark Ruffalo has already compared Thor: Ragnarok to Midnight Run in its buddy road movie aesthetic, but he needn't have looked any further than Hunt For The Wilderpeople for a point of comparison. Let's just hope Waititi can maintain the no-nonsense appeal he achieves so well here as he deservedly moves on to bigger things. Hunt For The Wilderpeople is currently available on Netflix UK.